Looking for a slightly different day walk in the Wellington region? 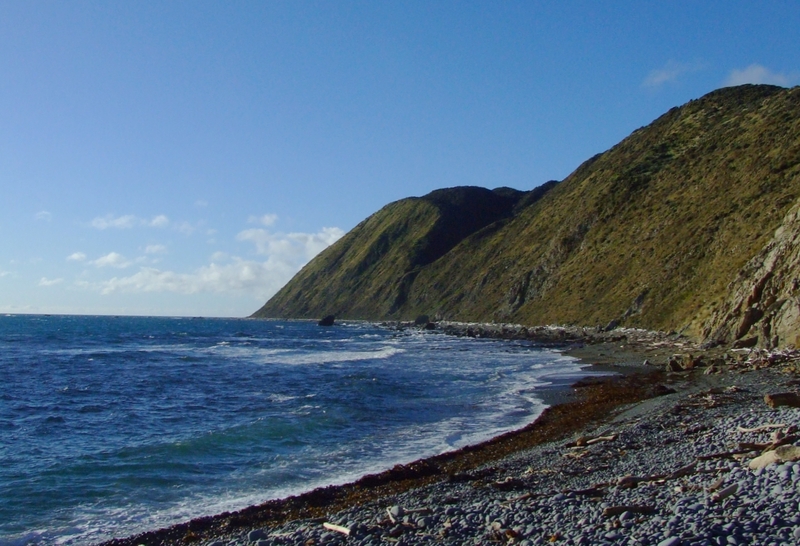 Then the Makara Walkway could be it. It’s one of my favourite short walks in the area. 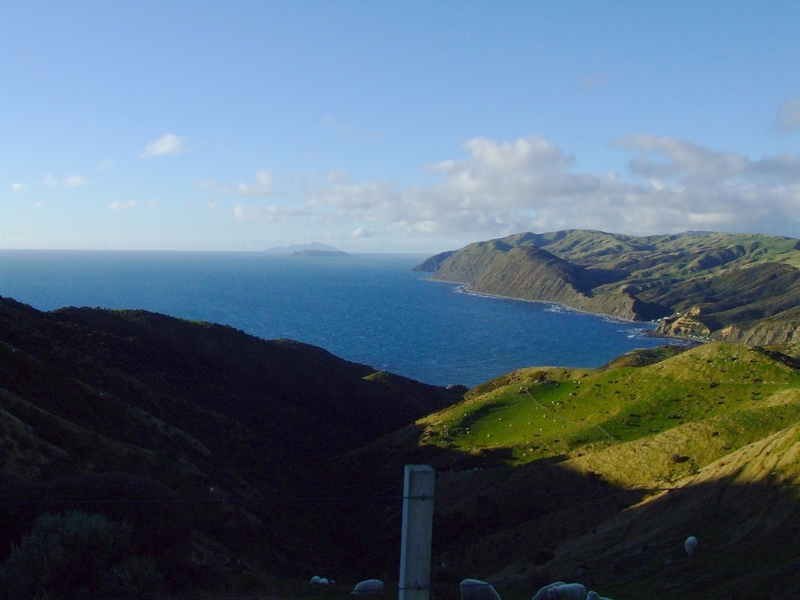 The Makara Walkway starts at Makara—a 16 km drive from Karori, over Makara Hill (watch out for cyclists). Ohariu Bay is the starting place for the walk. The best option is to walk around the beach, past Wharehou Bay, into Ohau Bay. Both of these bays are popular with local fisherman and divers. 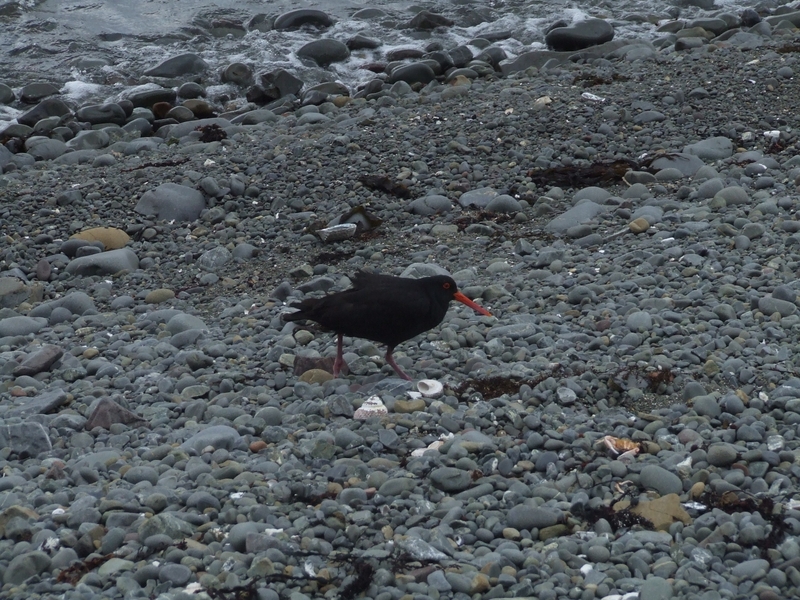 This is a fantastic piece of wild coastline, with a number of impressive rock formations and large number of seabirds—especially the loud and bright beaked oystercatchers. Another plus with this walk is that it is sheltered from the cold southerly wind. So, even if there’s a strong southerly, the walk is still pleasant. Having said that, it does get hammered in a Nor’wester, so check the wind direction and speed before you head off—there is very little shelter along the track. Once you get to Opau Bay the track heads up the hill (a little steeply) to Fort Opau, which was garrisoned by 100 soldiers during World War II. There is also an historic Māori pa site. 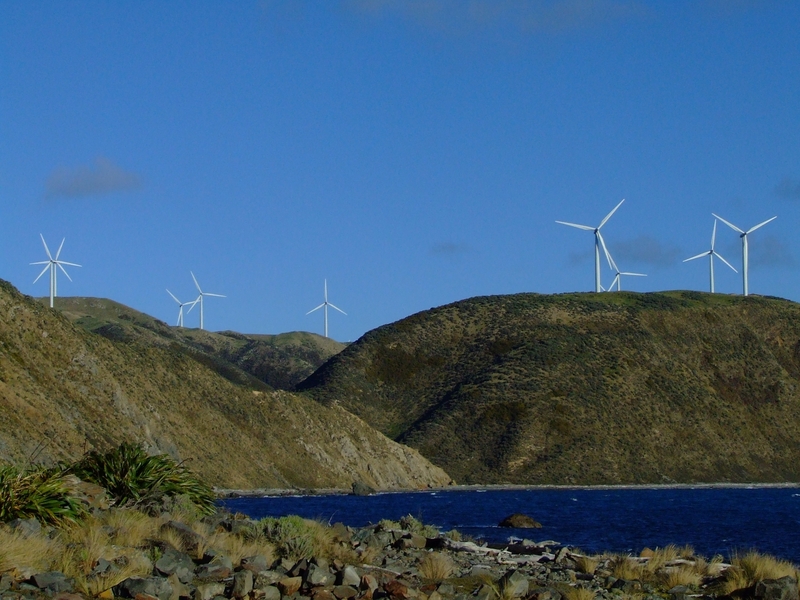 The views from the top are breathtaking: 360° views, including Mana Island, Kapiti Island, the Tararua Range, Mount Taranaki, the Marlborough Sounds and the giant wind turbines from Project West Wind, which has its own network of tracks. 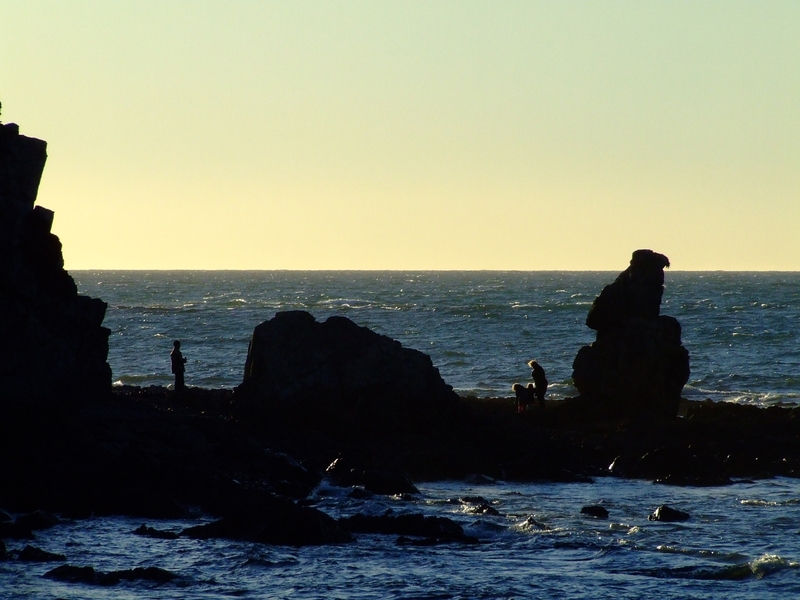 This point is also a perfect place to watch the sun go down, or come up, if you’re super keen! From here it’s a downhill walk back to Wharehou Bay, and a short walk back to Ohariu Bay and your vehicle. The secret reason I love this loop track is that I proposed to my wife at the top—in a spot where we could see all the places that we had been tramping together. Don works in the Poneke/Wellington Department of Conservation Visitor Centre in Wellington city. Don loves tramping, riding his mountain bike, travelling and planting natives in his garden at home.